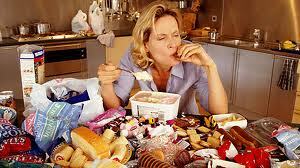 Quiz- Do I have Binge Eating Disorder? These questions come usually as someone begins to “wake up” and find that they’ve been in a day long (sometimes weeks long) binge coma. Sometimes it can be as serious as spending days alone in your flat, bingeing or bingeing & purging and not getting out of bed to do anything besides eat, use the bathroom or pick up food. Other times it can be a solitary binge one evening or one afternoon. Forgive yourself. Usually, if you are bingeing, it means that there is something going on for your emotionally. Beating yourself up is the last thing that you need at this point. Binge episodes are wrought with shame and frustration. But you don’t need that right now. What you need is self-compassion. Be kind to yourself. Know that you can’t go backward, but you can go forward and learn from the binge. The rule of thumb is to try and stop as soon as you can. If you realize that you are bingeing in the morning, this doesn’t mean that the whole day is shot. You still have the whole day to to recover. Try to step away from the food and get outside and walk around the block, breath, relax, call a friend. We often think that a morning binge has to last the whole day. Just look at the clock and know that in a few hours, after your body processes the food and you’ve digested, you will feel much better. Take some time to get away from the food and know that in 3-5 hours, your body will feel much better. Don’t try to compensate for the binge (ie: don’t vomit, don’t try to exercise the amount of calories that you think you ate, don’t starve yourself). This will set up a cycle of bingeing and compensating. The goal is to end that cycle of craziness immediately, or else it will continue. The other side of the binge is the compensation and the other side of the compensation is the binge. They go hand in hand. You can’t go backward you can only go forward. Trying to go backward will hurt you because you will just stay stuck in the binge and the vicious cycle. How to recover from a binge when you’ve had a bad binge at night and you wake up in the morning feeling ill, ashamed, depressed and uncomfortable…. Don’t panic! It’s okay, binges happen and your body will recover as long as you get back on track with your recovery quickly. Recovery is not about never falling down, it’s about how quickly you get up. Everyone backslides, don’t let yourself get stuck in it and in the shame of it, let yourself move forward with it. Drink a Glass of Water with some lemon squeezed into it and maybe a few slices of cucumber to help your body remove the bloat. WHATEVER YOU DO, DON’T WEIGHT YOURSELF! — Weighing yourself won’t give you an accurate measure of your weight and will likely agitate you and keep you in the binge cycle. If you are hungry, drink some tea and prepare yourself a proper breakfast with protein and fruit or oatmeal. It’s important to prepare yourself a nice breakfast and to make it appetizing and lovingly for yourself. Set the table, eat off of nice plates, and put on relaxing music. This is so if you are tempted to continue your binge, you might find that a mindful and quiet breakfast helps you to reset. After eating breakfast, leave your home immediately so that you are not tempted to continue your binge. Continue to drink water and herbal tea throughout the day to help your body process the extra food. But don’t drink too much, you don’t want to feel too full and have that trigger a binge. Just sip slowly and try to pay attention to what your body wants. If you can’t stomach eating breakfast because you are feeling ill from the binge, drink some tea, preferably something soothing to your stomach, like chamomile or ginger or peppermint. You might be nauseated or uncomfortable. Give your body some time to recover. Make sure to be gentle with it. However, don’t wait too long to eat. You don’t want to swing the pendulum to starved. If you are not hungry by lunch time, eat something light like some broth, or miso soup or vegetable juice, or fruit and a bit of protein (such as an egg or a chicken breast). Don’t wait too long for your next meal. Check in with your body and when it is beginning to feel hungry, but before you are feeling too hungry, try to sit down and feed it leafy greens, protein, and some fat such as olive oil and cheese or nuts. Make sure that you get a good night sleep. The next morning you will feel much better and in a few days your body will feel back to normal. Know that in two days or so, you will feel back to normal. You did not harm yourself with one binge. Be kind to your body, make sure you are eating three meals a day and let yourself come back to balance so that you can get to really let go of the binge and get back on course with your recovery. How Long Does it Take to Recover from a Major Binge? It can take anywhere from a few hours to several days. There is no set rule on this. If it was an isolated binge, usually, after a day of reclaiming yourself, you will begin to feel better both physically and emotionally. If it was a weekend of bingeing (friday through sunday), you will likely feel back to yourself by Wednesday if you start taking care of yourself on Monday. Food can affect your body for body for several days- it can even take up to three days for some food allergies to show up. But you should be feeling much, much better by 72 hours after your binge. Definitely sit with it, be kind to yourself and allow healing to happen. This is a big part of how to recover from a binge, but the part that stays with you is the ability to move forward and not let yourself get stuck in it and to remember to keep moving forward. For more info, check out Recovery Warriors! 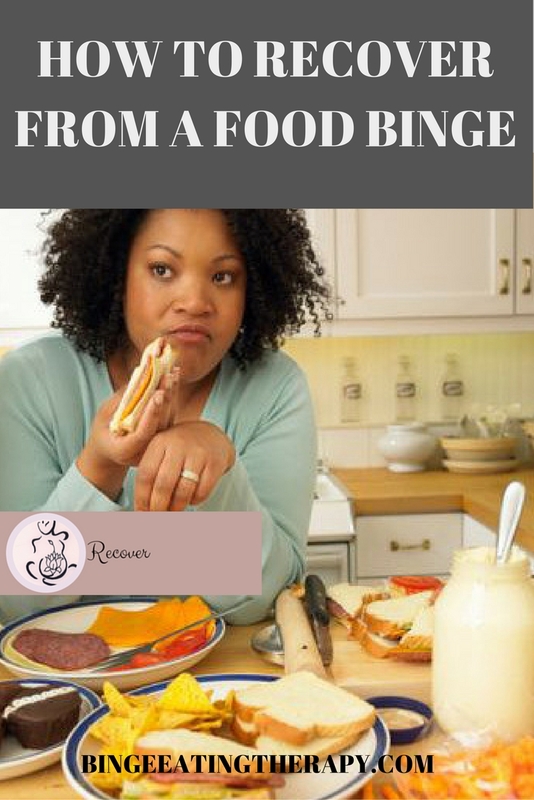 You CAN Stop Binge Eating! 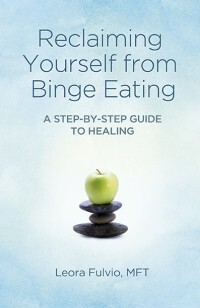 If you want to stop binge eating and find peace around food and your body, then YOU HAVE to read this book. It will give you step by step instructions and guidance on how to rewire your brain so that you can stop the cycle of binge eating. This is a blog to promote the awareness of eating disorders and to receive some help and support for healing from binge eating and bulimia. A good place to start is here! Copyright © 2019 Leora Fulvio. All rights reserved.